Cardiac arrhythmia are disorders of the heart rhythm, or in other words, when the rhythm of the heart stops being regular. A normal heart beats around 70 times per minute. When the heart rate exceeds one hundred beats per minute, we are experiencing a tachycardia. If, on the contrary, the frequency decreases and falls to less than 60 beats per minute, we will be faced with a pathology called bradycardia. Both are part of cardiac arrhythmia. When arrhythmia appear in a completely healthy heart and are not permanent, tend not to be of greater importance. However, if repeated, you should prevent and treat the cause that motivates them. 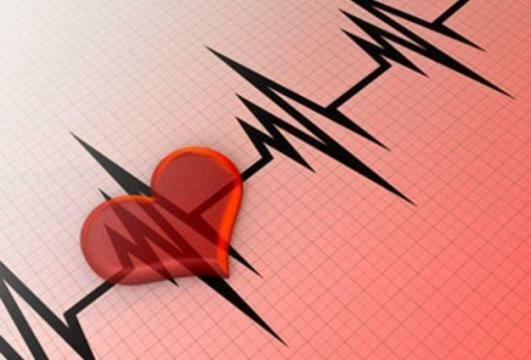 The palpitations may last for a moment or a few hours, noting in some cases as if the heart pop up inside the chest or beat at a much faster rate than normal. Palpitations are usually caused by anxiety, but are also associated with other health problems such as anemia or thyroid disease. Not all heart rhythm disorders are so obvious, there are more subtle and, though without noticing any change in rhythm or heart rate, it can manifest themselves through dizziness or general weakness. Although arrhythmia can appear at any age, a fairly common type, especially in older people, is atrial fibrillation, a pathology that can be serious. It occurs when a clot from the heart goes to the blood and obstructs one carotid climbs up the neck to the brain, causing a stroke. Also, the clot can also navigate to an artery in the leg causing an obstruction. When the capacity of our heart to beat is altered or completely affected, we are faced with a condition called ventricular fibrillation. In these cases, the heart can not pump blood properly, so it accumulates quickly inside the heart, requiring treatment and medical attention urgently. Bradyarrhythmias: When heart rates are lower than normal (less than 60 beats/minute). It may be asymptomatic. Occasionally it may be necessary to deploy a pacemaker. Tachyarrhythmia: When heart rates are higher than 100 beats/minute. These, in turn, depending on where they originate, may be supraventricular or ventricular tachyarrhythmia. When we do some physical activity or emotional tension, our heart beats faster. When we sleep or rest, just the opposite happens. Rhythm changes that are considered normal. However, when these alterations occur abnormally these can affect our heart, requiring treatment. One of the risk factors that affect our heart is stress or anxiety, which can cause cardiac arrhythmia. If we are having a stressful time, consult doctor to prevent and control it.